Does your horse live out during the winter? Does he receive a bucket feed? Some horses live out all year round with additional quality forage in the winter and they do more than just survive…they thrive! There are lots of benefits associated with horses living out, but there are some drawbacks too. One of these is how do you supplement a horse that lives out? It’s really the same question as ‘how do you supplement a horse that doesn’t receive a bucket feed’? Don’t worry, we have the answer – pellet supplements. Unlike liquid and powdered supplements, pellets don’t need a ‘carrier’, they can be fed on their own from the owner’s hand, or put into a bucket as needed. Another option is a supplement that’s also a treat…yes, you read it correctly…for people facing this issue we developed Tip Top Supplement Treats that are made for the job. In this blog, we have a look at our treat and pellet supplements, ideal for feeding from the hand…and also a great addition to a bucket of feed. 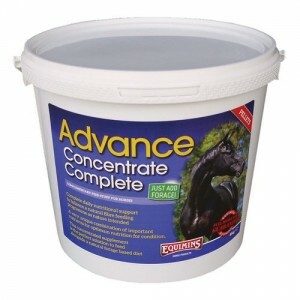 Advance Concentrate Complete – our high quality forage balancer with money back guarantee is available as powder and pellets. In addition to vitamins, trace elements and bioavailable minerals, Advance Concentrate Complete also contains probiotics and Saccharomyces cerivisae yeast to support the digestion of fibre. This supplement works really well with a forage diet…that’s the only addition you need! Hoof Mender 75 – our high specification hoof supplement (also with money back guarantee!) comes in powder or pellet form. It contains high levels of biotin (75mg per day) and chelated zinc methionate for healthy hoof growth, and combines this with a number of other important ingredients to support the hooves. Laminator Pellets – created to help support the laminae and hoof integrity, Laminator is available as a powder or pellet, so there’s no need to add it to a bucket feed. 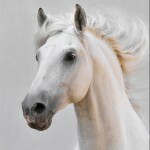 It contains an impressive list of ingredients to help support the horse, such as hesperidin, feverfew, zinc, biotin and ascorbic acid…to name a few. Sand-Ex Pellets – designed to support the natural flow of food through the intestinal tract, as it helps to remove sand. In this case, Sand-Ex is presented in a pelleted form because the psyllium used would turn into a jelly in the horse’s mouth if a powdered form was fed. This could cause the horse to spit it out. Tip Top Supplement – available in powder, pellet and TREAT form, Tip Top provides an effective boost to essential vitamin and mineral levels, to help support health and condition. This broad spectrum supplement is really easy to feed and excellent value, whether you select powder, pellet or treat form. 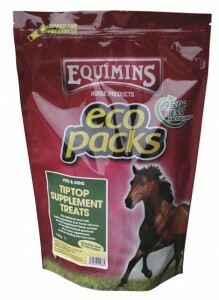 For more information on supplements for all sorts of horses, just contact us.